Hello girls, hope this winter does not be too harsh for our dry skin. To prevent the same I am using creamy moisturizer, natural face wash and many natural home based remedies too. 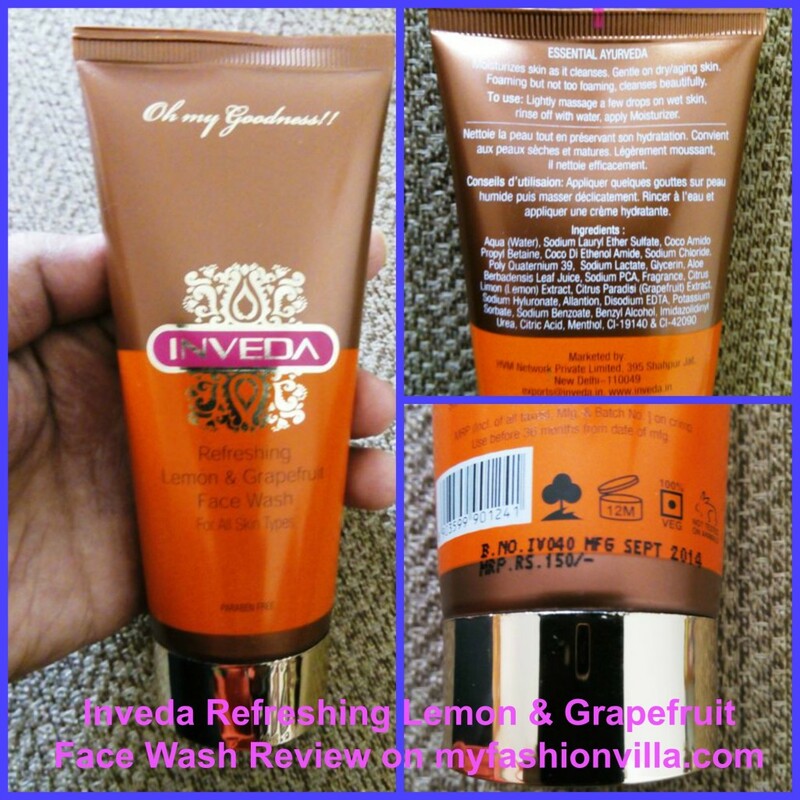 In the last month I tried a face wash from Inveda and today I am sharing review of “Inveda Refreshing Lemon and Grapefruit Face Wash”. It solves two purposes like moisturizing as well as cleansing the face. It is gentle for the dry skin does not make it dry. It is a forming cleanser, but does not give too much form, which is actually good. Read what else I liked and disliked. 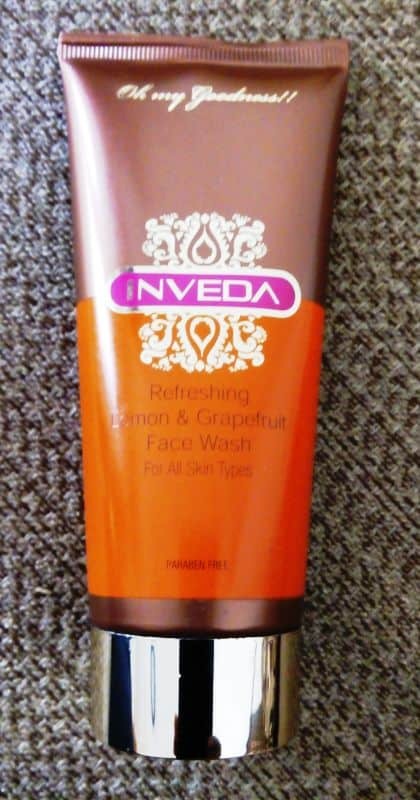 Enriched with goodness of Lemon & Grapefruit, this Face Wash has dual benefits of cleansing & moisturizing. It also works gently on Dry & Ageing Skin. Apply on the wet face, gently massage, rinse with the water, and then apply moisturizer cream on the face. This will give you a gorgeous result for your face. Aqua (water), Sodium Lauryl Sulfate, Coco Amido Propyl Betaine, Coco DI Ethanol Amide, Sodium Chloride, Poly Quaternium 39, Sodium Lactate, Glycerin, Aloe Berbddensis Leaf Juice, Sodium PCA, Fragrance, Citrus Limon (lemon) Extract, Citrus Paradisi (Grapefruit) Extract, Sodium Hyluronate, Allantion, Disodium EDTA, Potassium Sorbate,Sodium Benzoate,Benzyl Alcohol,Imidazolidnyl Urea, Citric Acid,Menthol,CI -19140 & CI-42090. It can be used by all skin types, male and female both can use it. 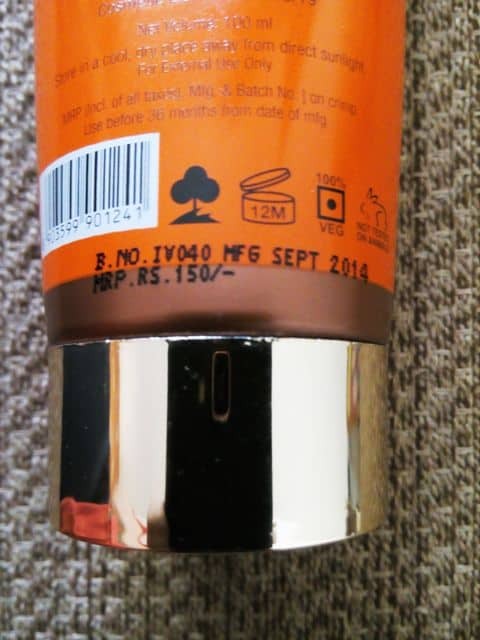 It is packaged in orange color tube packaging. To use it one can squeeze it from the tube. My skin is a bit dry. I am using this face wash twice a day. It really gives best result whole day. After using it is gives refreshing experience and I feel fresh. It really lathers well and cleans complete face in one time only. I did not see any dust or impurities later on my face. Due to the use of lemon and grapefruit it provides an awesome aroma too. Overall, this is the 2nd product from Inveda I have tried and liked very much as far as results are concerned and price is concerned. 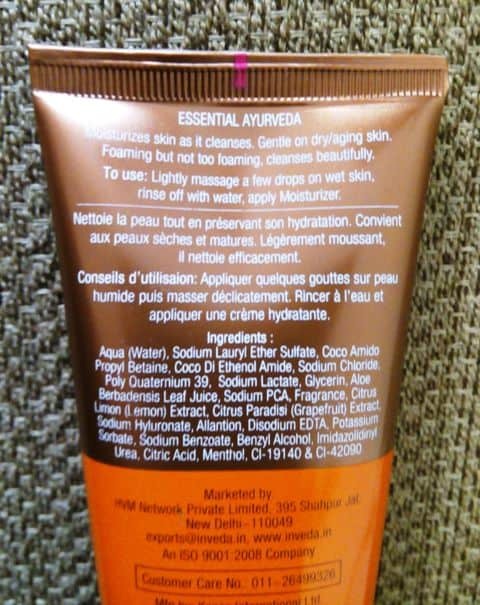 It shows really good result and after using this face wash, skin shows glow. It also improves skin quality like skin will look soft and young, especially if it used for aging skin. This review is by Aishwarya. She is keenly interested in beauty and fashion. Works as a Freelance Content Writer while working for www.myfashionvilla.com too.